This is how 416 Market Street appeared in the Spring of 2009. 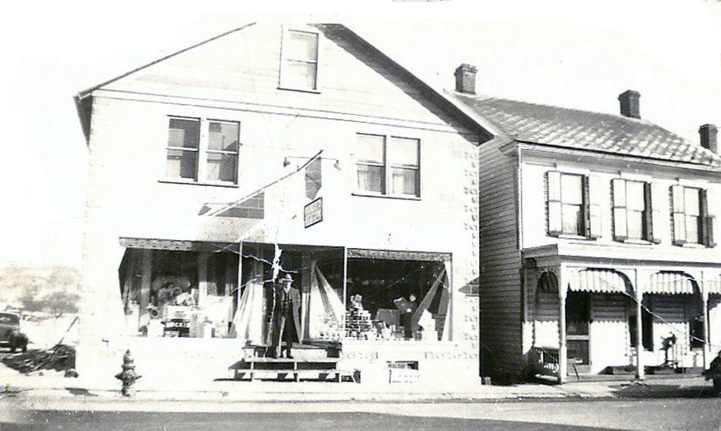 This building was build by Alvin Leonard who owned a grocery store on the other side of the street in the next block. The building has been used as a commercial property for most of the Twentieth Century. John W. Isenberg owned and operated Isenberg Heating, Plumbing and Frigidare Appliances. John was married to Rosa Telfer and they had a daughter named Dixie. The family lived above the store. Unsure when the property was turned into a residential unit. It appears that the front entrance has a Market Street address and the side entrance for the upper floor has a Fifth Street address. It appears that this building was built after 1928. The Sanborn Fire Insurance Maps show a building on this lot as early as 1889, however, its vertical axis ran parallel to Market Street rather than Fifth Street. 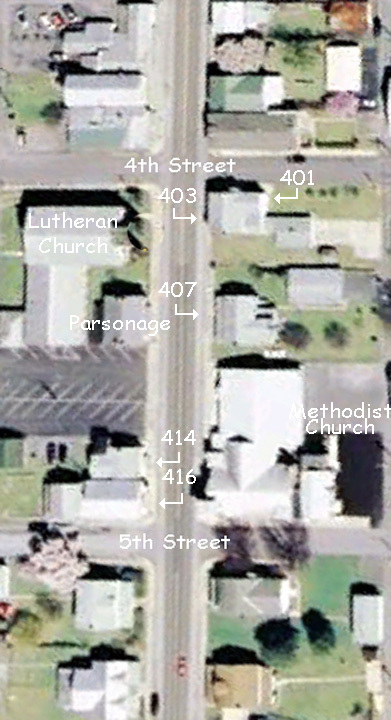 MARKET STREET: an aerial view of Market Street between the intersections with Fourth and Fifth Streets as represented by Google Earth. 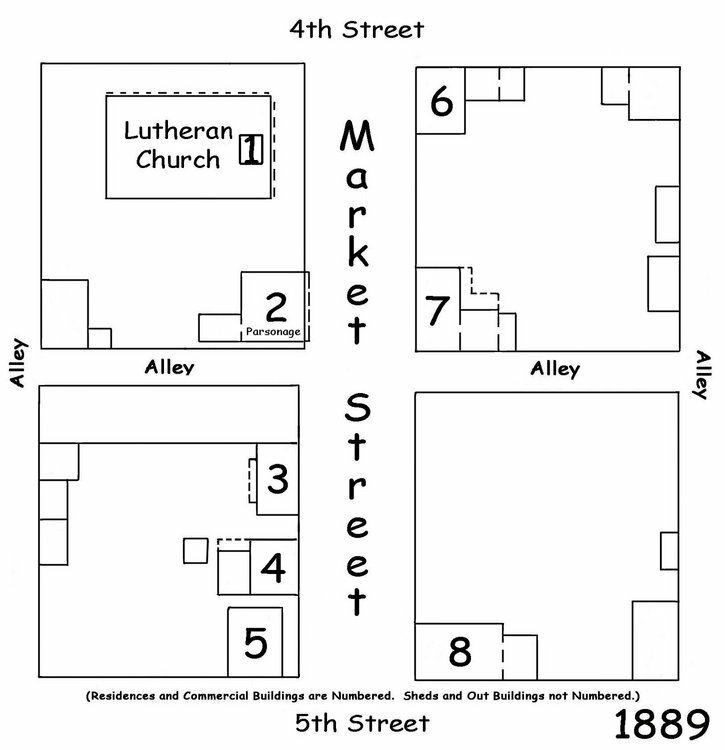 This map shows the 400 block of Market Street as it appeared in 1889. This building did not exist at that time, however there was another building on this lot. This map shows the 400 block of Market Street as it appeared in 1904. This building did not exist at that time, however there was another building on this lot. 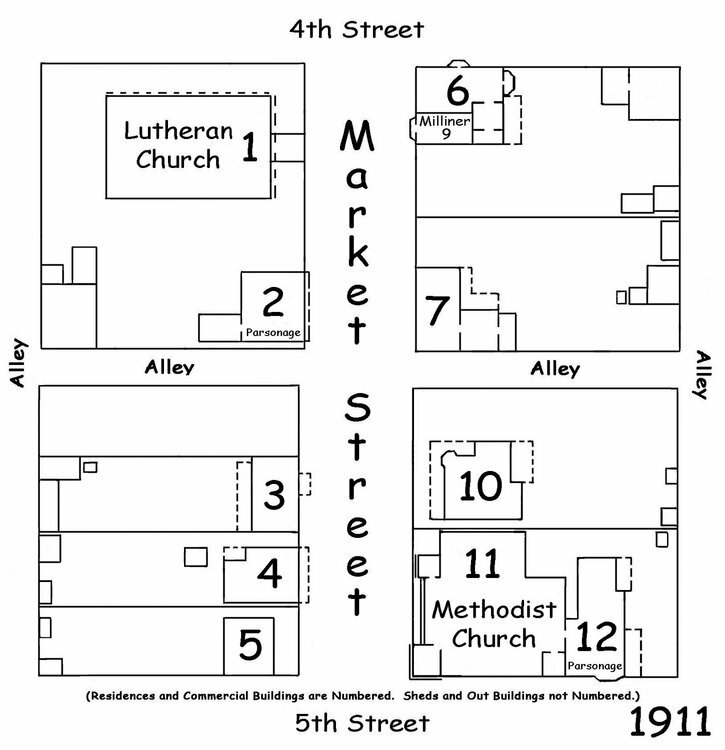 This map shows the 400 block of Market Street as it appeared in 1911. This building did not exist at that time, however there was another building on this lot. 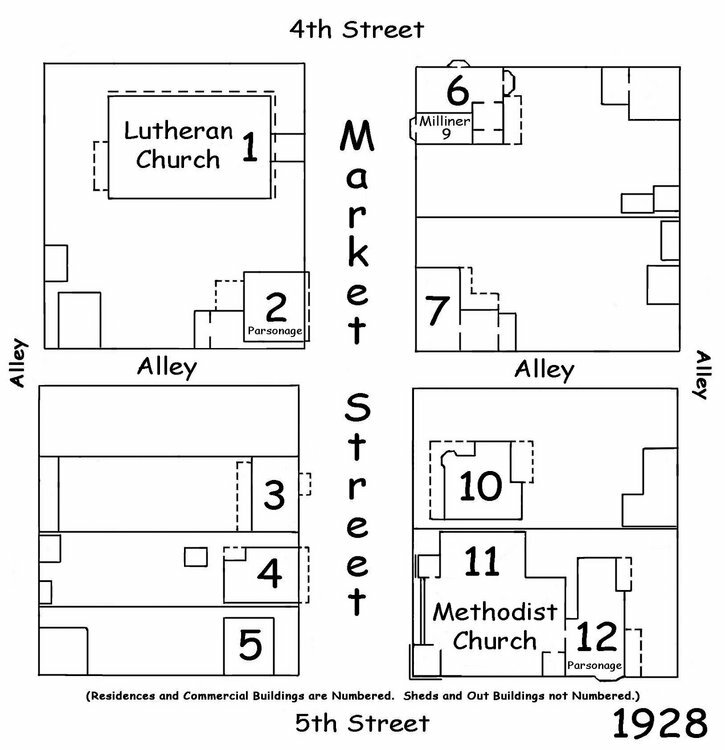 This map shows the 400 block of Market Street as it appeared in 1928. This building did not exist at that time, however there was another building on this lot.